Content Marketing Stats – 2017 Edition #infographic ~ Visualistan '+g+"
The increase in the use of various ad blocking add-ons and apps is also one of the big reasons why content marketing is becoming more and more important. Marketers must be innovative when it comes to finding ways to reach their target audience. Paid banner ads don’t provide nearly the same ROI as they were before. And yes, you’ve guessed well, this is where content marketing comes in and saves the day. With 2017 high on the run, more and more companies are taking their businesses online and are growing more and more. Content marketing has never been more attractive as a market than it is now. And certain numbers and stats are showing content marketing will continue it’s growth, accounting for a $ 300 billion dollar industry by the year 2019. 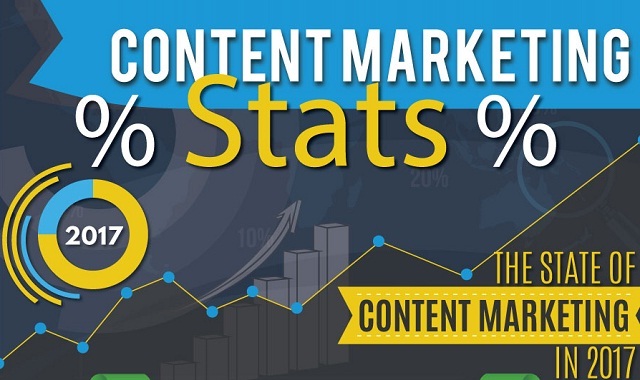 The following infographic by Point Visible takes a 2017 look at content marketing statistics and trends.